Blue skies, hot and sunny weather, what could be better than a day at the coast? Beaches and Belgium, you wouldn’t necessarily associate one with the other, however we found golden sands galore and a perfect family day out. 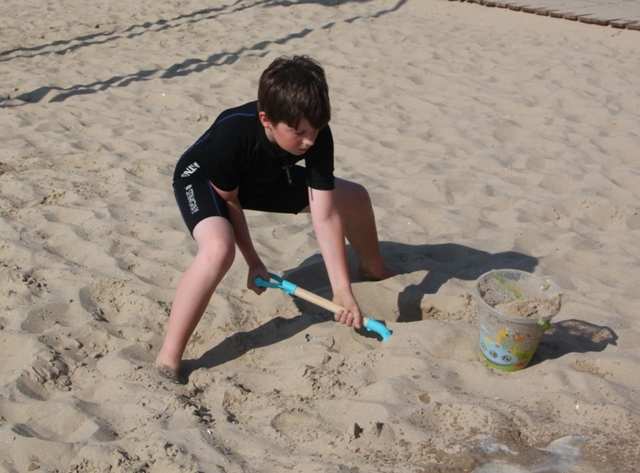 A couple of days later in the week were set aside for war museums and sights, we figured a bit of beach fun for Son before all of that would be just the thing. The coast is not at all far from Bruges. An easy thirty minute drive and we were at Knokke. 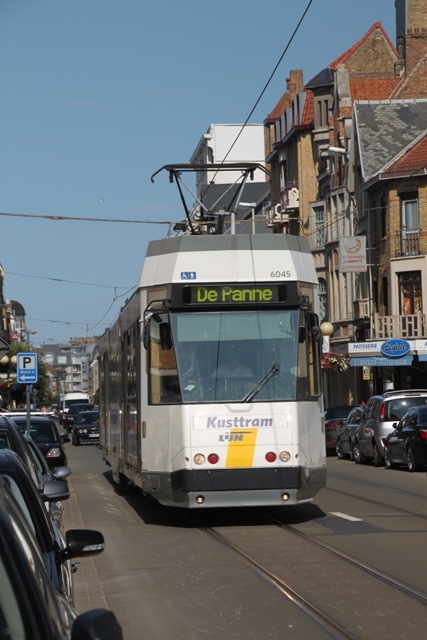 We wanted to ride the Kusttram (Coast Tram), if you do it end to end it’s a two hour ride along the whole of the Belgian coast, from de Panne on the French border to Knokke Heist on the Dutch border. Loads of chances to stop off along the way, with beaches, resorts and plenty of enticing things it is a great journey. The whole tram line stretches for 68 km and a day pass at 7 Euro is, (I thought) super reasonable. This tram line has been going for over one hundred years and I read somewhere it is the longest in the world at the moment. Not old fashioned in any way though, this vehicle is sleek and smooth. We got a whistle stop tour of Knokke. They say it is the St Tropez of the region with lots of galleries, chic restaurants and cool shops. Husband whizzed us through in the car with strict instructions to look out for the tram stop – we missed it – and missed the delights of Knokke as well. Eventually we found another tram stop just out of the centre. A good thing, there was a parking spot (free) for the whole day, so no car worries. Unable to buy tickets in advance, the platform was in the middle of nowhere with no ticket machine but we bought our tickets on board. The driver told us we should have bought them in advance – it is cheaper – but 7 Euro unlimited tram travelling for the whole day seemed a bargain to me anyway. Great views out of the tram and super comfy seats meant it was loads of fun. For most of the trip down to De Panne the tram was virtually empty which was an added bonus. We passed through Zeebrugge and Blankenberg and enjoyed the views and ride so much we decided to stay on until De Panne. Endless golden, sandy beaches and sea views – a gorgeous journey. The tram turned inland for a little while before we reached De Panne. We got off in the centre of the little town and after some delicious cakes from a bakery it was time to hit the beach. Son paddled in the sea, dug in the sand and did all the usual beachy stuff. Colourful beach huts everywhere and loads of seats, I’m not normally a big fan of sandy beaches but I liked this one. De Panne is on the French side of the coast, we noticed more French than Dutch being spoken and a lot of French tourists seemed to be around on holidays too. The long beach is lined on one side with some not very appealing concrete apartment blocks, but there is a nice promenade and the beach is good. Plenty of history about this little town too – apparently it is where King Leopold I first set foot on Belgian soil in 1831. It is also where King Albert I set the headquarters of the Belgian army and his government in WW1 and in 1940 it was between De Panne and Dunkerke that the British troops retreated from the Nazi advance into the Benelux and France. 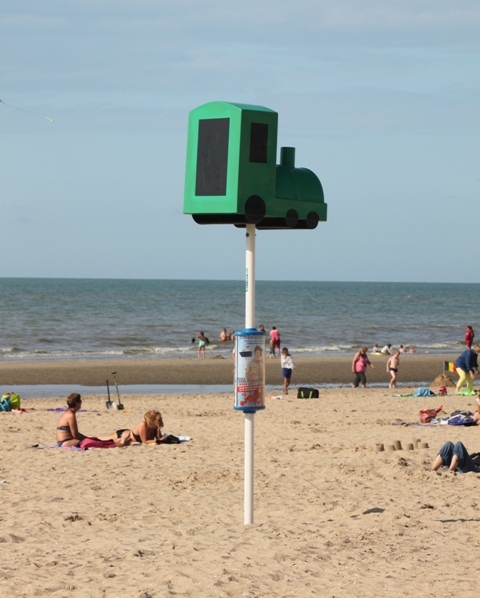 After a couple of hours on the beach we boarded the tram again and headed back towards Knokke. Busy, busy, busy though, not many seats and for part of the ride it was standing room only. Not quite the relaxed tram ride we had on the way down, my advice would be pick your time carefully. That said, we still loved our tram journey with its sea views and our fun day at the beach. The coastal tram is also a good way to make the most of the Belgian coast when it’s dull, cloudy and raining! Glad you enjoyed the day. I can imagine it would be great on a misty day too Denzil, those views would be different but still splendid. We just loved this day out, had we had more time I would have ridden the tram again and stopped in a whole series of different places, there was so much to see, we just couldn’t fit it all in. A tram line that stretches 68km. I am not surprised if it’s the longest one in the world. Looks like a nice day out at the beach! It was such a great day out, we all lived it and the views were incredible, quite unlike any other tram ride I’ve done. It makes it lots of fun too when you spot a beach or area you like the look of and just hop off and then on again later as you please. I so have to visit Belgium again!! Be sure to ride this tram if you do – gorgeous sea views and so many quirky little places to stop as the fancy takes you. We loved it!! The Coast tram is a great idea – I’d love to do it! I know what you mean about Belgium and beaches. 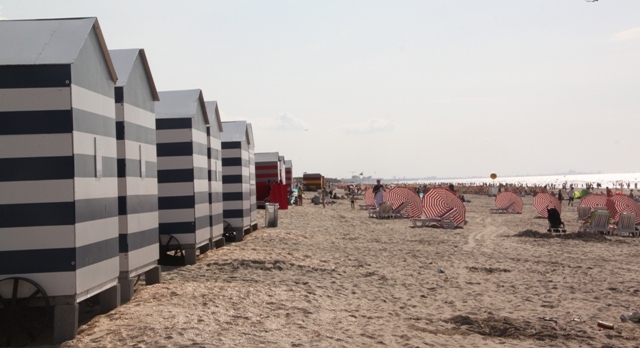 I thought the same about the Netherlands but there is a great beach near the Hague – better than some in Spain and Italy! These beaches were just gorgeous, golden sands stretching for miles, as good as it gets for sure. Thanks for the tip about The Hague too, Holland us on my hit list so good to know about the beach option!! Thanks for this tip! We’ll want to visit friends in Belgium soonish again, we haven’t been to the coast and this would be fun for all! We had such a great day out at the coast, loved Ostende as well and the tram ride is fun. The idea of hopping off and on at beaches where the fancy takes you is a really fun time for kids too. We just loved this area, so beautiful and so much fun. Would love to go back and explore more of that gorgeous coastline. I had no idea there were such great beaches in Belgium! That might be a closer way to home than the med to get my beach fix! The beaches are stunning, we lucked out with the weather too – hot and sunny all day long. Think that’s the only problem here versus the med, no guarantee with the sun!! I have question. What is the green thing stuck in the sand? I would never have thought there would be such a nice beach near Bruges! That is a marker so if you or your kids wander off it helps you find your way back to your spot on the beach. This was a green train, they had a red rocking horse and various other things all along that stretch of sand. I agree about the beaches too, we were blown away by them and just half an hour from Bruges. What a good idea! I would need it just to remember where my blanket was! Looks like you had a great day at the beach. Love the idea of those markers for families. I don’t know why they don’t incorporate them here in the states. Thanks for sharing. It was such a lovely and fun day out George for sure. I thought those markers were superb too, never seen that before, so simple yet so effective. Many a time I’ve struggled to find my way back to our “spot” after being in the sea, this just sorts all that out. Always fun to share your travels, Joy. Thank you – this was such a fun day out, a tram ride with a difference!! Lovely post! You were lucky to have good weather. We lived in Belgium for two years and never managed to be free on warm weekends (which were few and far between). In fairness, we were also mesmerized by Bruges and Ghent and Brussels (as you know from our blogposts) so the beach was not a high priority for us. Your blogpost makes me think perhaps this was a mistake. Lovely post. We definitely hit it lucky with the weather that day, sun and blue skies made a perfect beach day, we had mixed weather on other times on this trip which would have made a very different experience. I lived in Belgium for a year and went back several times, this was my first visit to the coast so I know exactly where you’re coming from! Having finally made it to the beach though I would certainly go back. 68kms of tram travel for 7 euro with great beaches thrown in – who knew? Love the photos too! Such a bargain Susan, it never ceases to amaze me how cheap public transport is in Europe, or maybe it’s just way too expensive in the UK!! This was a tram ride with a difference too, beaches galore and gorgeous views, we loved it. Looks like a wonderful place to spend the day! It really is, the tram ride was loads of fun and those beaches were incredible. We loved the whole day and if you live trams then it’s an added bonus. I would ride this tram for sure if we make it back to Belgium. All the lines on the umbrellas and little buildings make for amazing pictures! I know Jenny – I just loved the umbrellas and don’t even get me started on the beach huts!! That would have been so awesome Joy..to travel along the coast in a tram!! I would love to do that one day.. Riding the tram with the sea beside you nearly all the way was fantastic and highly recommended!! Hope you get to do it sometime. Joy, you keep amazing me! Glad to read you liked the Belgian Coast! Ostend was a nice place to hop off as well! Maybe next time :)? Loved the coast and loved the tram ride too, we would all love to go back for sure!! Looks like a wonderful day to me … and thumbs up to the tram! That tram ride with those views – unbeatable I think!! Wow Rosemary, that’s a coincidence!! 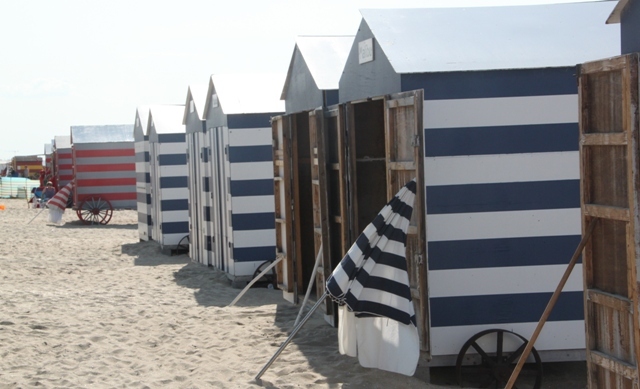 Our visit to Knokke was too brief for me and I would like to go back and explore it properly. We enjoyed de Panne and I also loved Ostende – that amazed me as I envisioned a bland port but it was lovely. We were lucky with the weather, blue skies and sunshine always helps with a day like this!! Have a great weekend too. The sun that day made for a great time for sure Rosemary – I agree about the rain and the cafe!!! Just met up with some friends today Joy and funnily enough they mentioned visiting Ostende and Zeebrugge several times when living in the UK. They reckoned the mussels there are the best in the world!! Looks and sounds like a lovely day, tram and all! I liked the history part at the end too :). It was fabulous – the tram ride was fun, the beach was great and the history was interesting. Something to keep everyone happy!! Not fond of sandy beaches! I can’t relate it’s all I know. 🙂 The tram ride sounds delightful…and the beach looks great! Loved the arm-chair tour again! I’m a bit of a spoilsport – hate sand on my feet!!! Pebbly beaches are my favourites – guess it’s because we spent hours on these kind growing up!! I love burying my feet in the warm sand. I think you’re right, it’s what we know. You’re right! I wouldn’t necessarily have put beaches and Belgium together… but now you have proved me wrong! I love a trip to the coast and it looks like De Panne is stunning. Love how you got the tram there – that’s a nice way to travel to the coast! The tram ride was loads of fun and the sea views all the way were fantastic. We loved de Panne but all the coastal places looked gorgeous. Joy, the tram ride sounds like fun with the views it afforded. I guess I never thought that Belgium had beaches! It is wonderful that your son enjoys so many travel experiences! Blessings! Going to the beach in Belgium was a whole new experience for me too Pam, despite living there for a year a long time ago I had never seen the coast. Glad we made that right with this trip!! Joy, I have had to re-follow several blogs that I was following with yours being one of them. I don’t know how I lost them! Back on track now! That’s happened to me before as well Pam – also no idea how!! That umbrella photo is beautiful! You’re so lucky that you’re able to travel this much. Looking forward to keeping up with your adventures!